Luke Langholz Pottery: I've been Reading, not Writing. From one half of my favorite team of authors (Douglas Preston & Lincoln Child) comes this book that almost seems to be about the dangers of Global Climate Change. It's not. It's about a terrifying monster who will eat you alive. If you happen to live hundreds of miles north of the Arctic Circle. Which really only adds up to 30 people. And some polar bears. 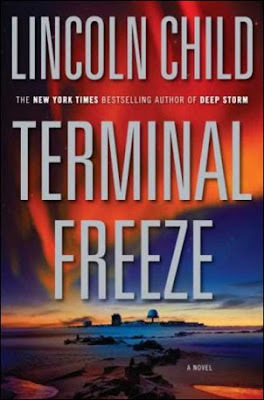 Terminal Freeze is an enjoyable book, even if it is slightly predictable and/or formulaic, and is on par with what I have come to expect from Child when writing solo. I tend to be more a fan of Preston's solo titles, including Tyrannosaur Canyon and The Codex. Laugh out loud funny was not my expectation of this book, but it's what I got. I guess I also learned about his time living with wolves. But mostly hilarity. His description of his first job with the Canadian Wildlife Service, and the archaic bureacracy to which he was submitted in undertaking this expedition, is a sterling example of why people in (insert national capitol of choice) really have no business legislating much of anything, whether you're talking wildlife or healthcare. 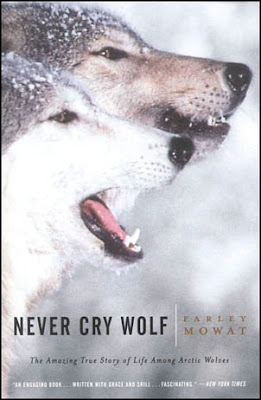 I highly recommend Never Cry Wolf, and I'm looking forward to exploring more of Mowat's writing. 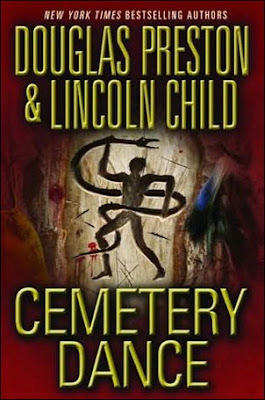 Preston & Child, together again, writing about my favorite FBI-man, Special Agent Pendergast. For more on Pendergast, start with Relic and work your way through the books. I'm most of the way through Cemetary Dance, and I've found it to be a pretty fun read. Definitely not my favorite from this team of writers, but pretty good. Oh, and there's zombies. That's it for now - enjoy the rest of this shortened work week!